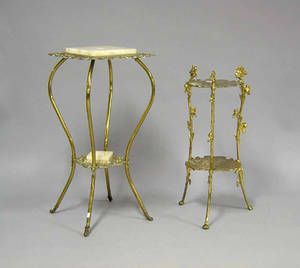 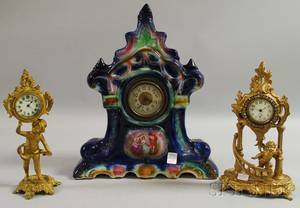 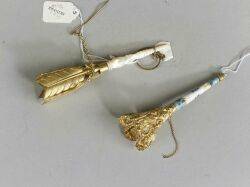 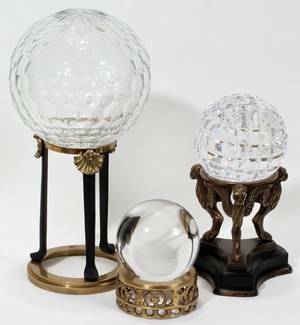 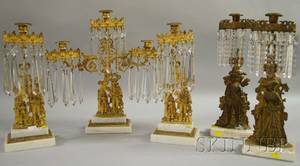 Two gilt metal stands, 37" h. and 27 1/2" h. Provenance: The Estate of Anne Brossman Sweigart, Ephrata, PA.
Two gilt metal marble top stands. 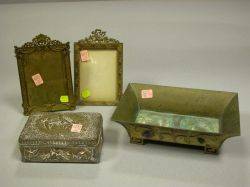 English Silver Plated Cigar Box Two Gilt-metal Frames and an Asian Jeweled Metal Planter. 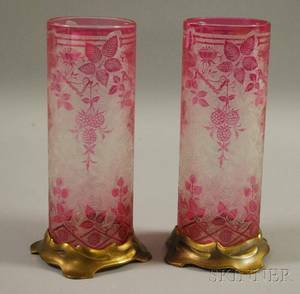 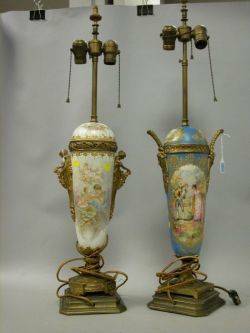 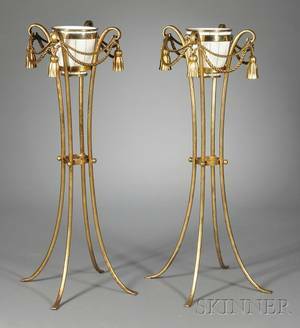 Two Gilt-metal Mounted Sevres-style Gilt and Scenic Decorated Porcelain Table Lamps.